Enchiladas are probably one of the most famous dishes in Mexico. They are made out of corn tortillas, filled with chicken and with a sauce on top. We Mexicans are known for spicy food but don’t be afraid! These enchiladas have just the right spiciness in them. 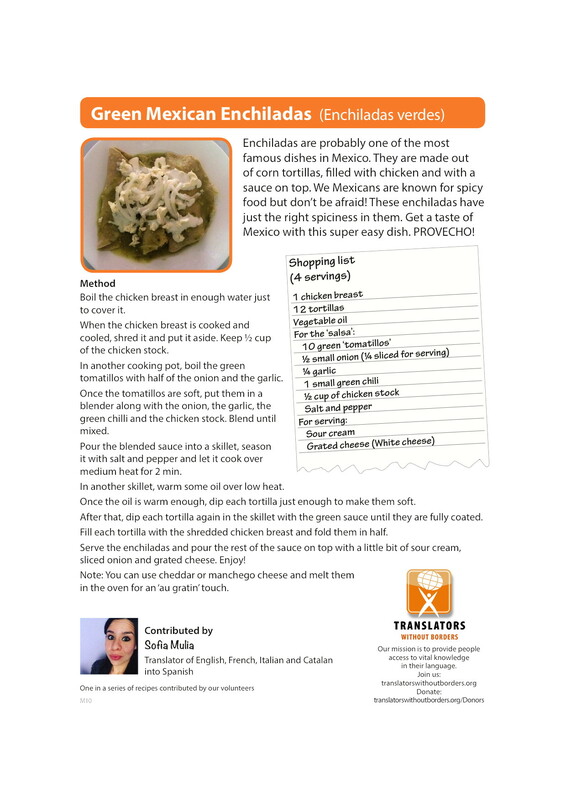 Get a taste of Mexico with this super easy dish. PROVECHO! Translator of English, French, Italian and Catalan into Spanish.